– Eric Rondepierre, The Mark of Time. That impossible photogram, as Roland Barthes said. An object which is not (even) an object, but at the same time is actually two objects. It doesn’t (really) belong to the cinema or (simply) to photography ; it is more than a photograph yet less than a film. It is, therefore, a sort of axis or fold, the precise crossing point (punctum) between cinema and photography. 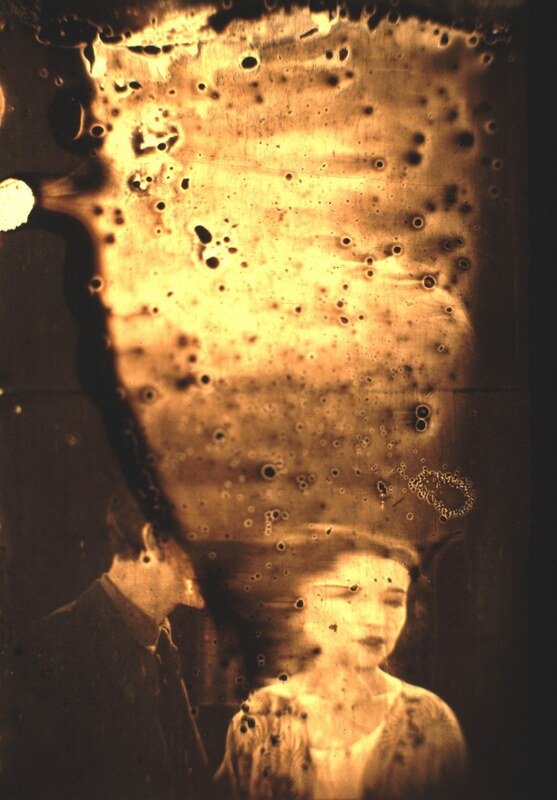 Eminently paradoxical, the photogram is the touchstone of Eric Rondepierre’s work which is acutely conscious of the delicate balance on the razor’s edge where cinema meets photography in their most intimate specificity. Eric Rondepierre’s work always starts with a film, or more precisely with the image-matter of a film. Rondepierre is not interested in cinema as the reflection-projection of a film on a screen, in a consumer relation to what is watchable, with its imposed length and speed, uninterrupted flow, impression of movement, perceptive fiction, transitory illusion – in other words the magic of the large cinema-body on the screen. What interests him is the film as actual film strip, a material sequence of fixed images intimately and appropriatively related to its object. Film images that you can not only see but also touch, hold, manipulate and collect. In other words, Rondepierre aims at what is most authentically photographic at the very heart of cinema. This is of course profoundly contradictory. The photogram is an impossible object : it is both film’s condition of existence and its total negation. Obviously a film consists only of photograms, yet seeing a photogram for what it is (the frozen image of a film) necessarily means not seeing the film, which can only exist fully as movement. Seeing a film flow past automatically implies not seeing photograms, nevertheless the very essence of a film since they disappear, absorbed into the projection process. Photograms are the only real images and the only invisible images in a film. This is the ontological paradox which makes photograms into cinema’s blind «spots». Don’t believe too much in what you can see. Learn to not see what is displayed (and therefore which hides). Learn to see beyond, beside, across and beneath. Look for the spot in the image, texture in the surface, negatives in positives and latent images in the negative ground. Follow once more the route mapped out by the psychic photographic apparatus, shifting from eye to memory, from appearance to unrepresentable. Dig down through the layers and levels like an archaeologist. Photographs are only surfaces, they have no depth, only a fantastic density. Behind it, beneath it or around it, one photo always hides (at least) another photograph, or a film. It is a question of screens, and here you enter in a singular universe, the one of an individual by the name of Eric Rondepierre. Read this whole essay by Philippe Dubois, and visit Eric Rondepierre’s website. And, if you can read French, there’s a piece which discusses Georges Bataille’s influence on the artist here. This entry was posted in art, film, photography, uncanny and tagged archive, camera lucida, Decasia, disintegration, eric rondepierre, jean cocteau, recontextualization, roland barthes. Bookmark the permalink.